Priced to sell! Unit currently rented to excellent tenants until May 2019 with a 60 day kick out clause. Bright and beautiful 2/2 unit on second floor. Split floor plan boasts marble floors throughout. The extra long balcony allows beautiful views of the garden with its eastern exposure. Kitchen and bathrooms excellently maintained. This unit has 2 parking spots. 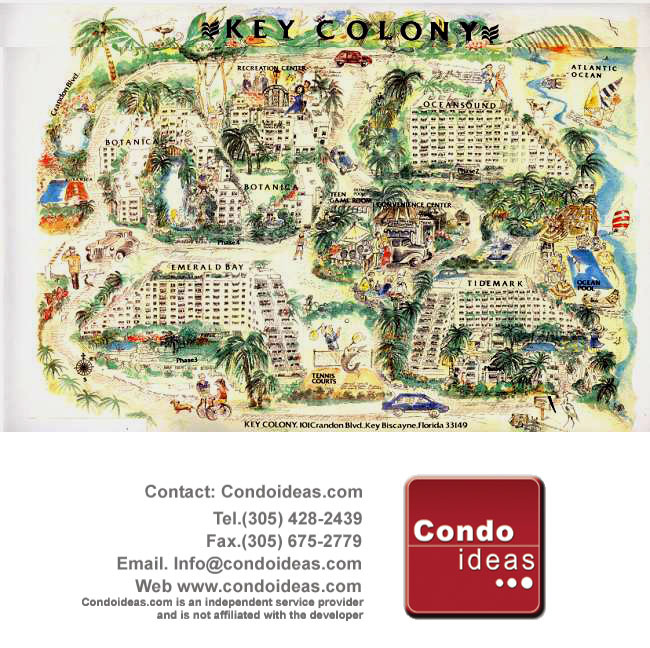 Key Colony is a resort style complex including amenities such as tennis courts, beach, gym, kids playground, pools, jacuzzi, restaurants, gourmet store and beauty salon & spa. Motivated seller.